And The 'Dog Of The Year' Is ... Hank The Dog! 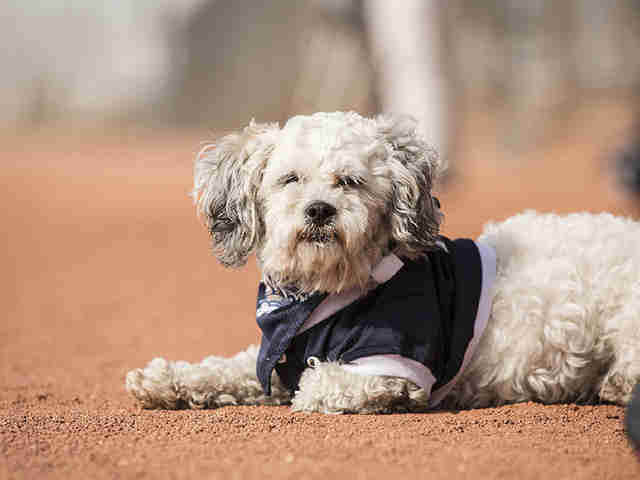 Many have heard of Hank the dog: the stray pup who wandered onto the field during a Milwaukee Brewers practice last year and was promptly adopted as the team mascot. 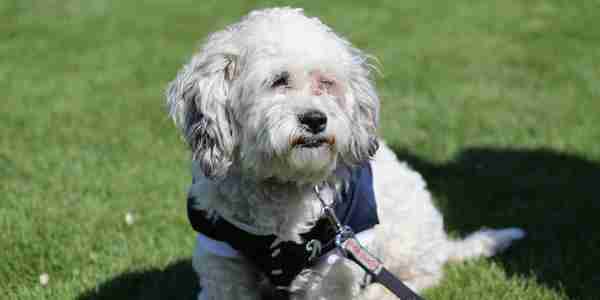 The little rescue's life on the streets was flipped upside down and he became one of the most beloved mascots in sports. 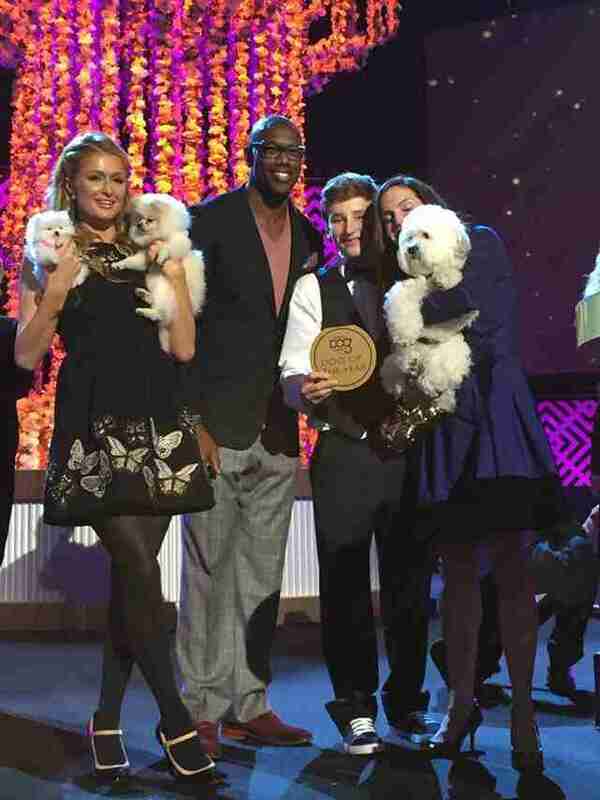 Last night, Hank received the honor of being named "Dog of the Year" at the World Dog Awards, hosted by George Lopez. He seemed a bit shell-shocked by his win, but the trophy was certainly well-deserved after his amazing journey over the past year. Hank's good fortune started in the spring of 2014 when the Milwaukee Brewers were in Arizona for Spring Training. 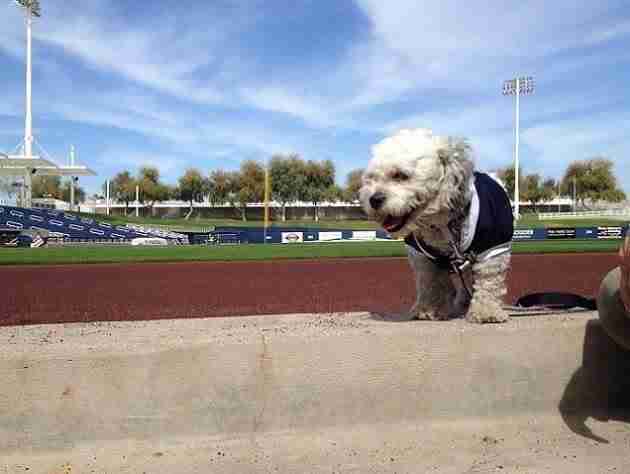 A little white dog was found wandering around the team's facilities, covered in tire marks, disheveled and hungry. The team members took turns looking after the pup, and pretty soon everyone fell in love with his irresistible charm and energy. 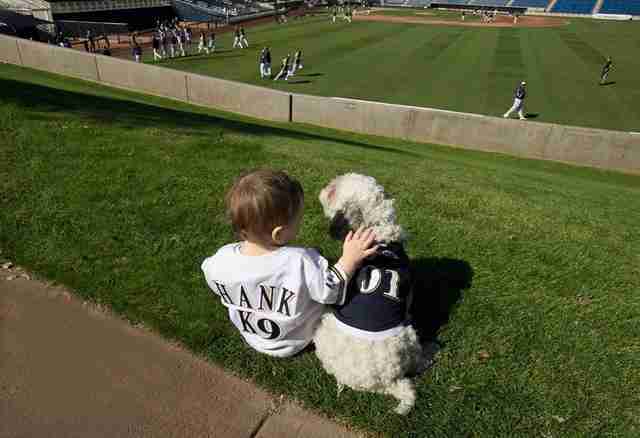 He was adopted by the team and named Hank after MLB right fielder Hank Aaron. 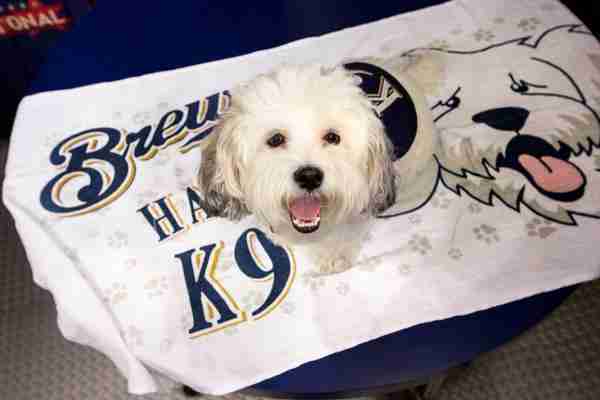 Hank became beloved by Brewers fans everywhere - the team even created Hank merchandise to raise money for the Wisconsin Humane Society. Since Hank's induction to the team, sales of his merchandise have raised more than $150,000 for the Wisconsin Humane Society. Way to give back, Hank! 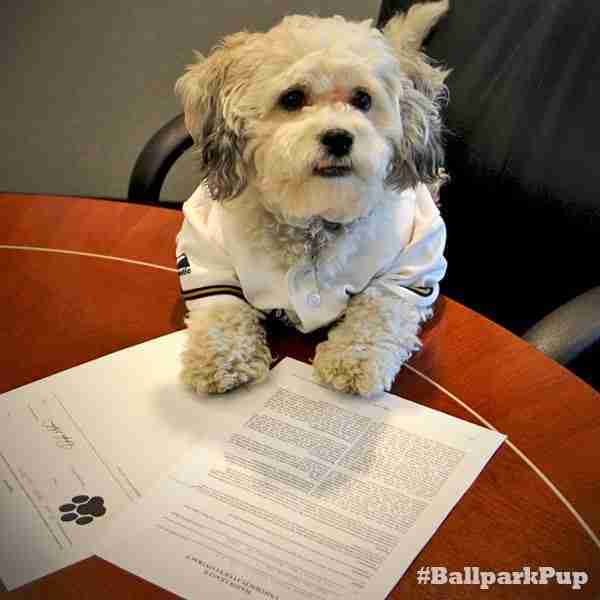 Hank was officially signed as a member of the team. Fortunately he was very good with paperwork. It's really no wonder the team fell in love with Hank - after all, who could be a better motivator than an adorably affectionate dog? And during practices Hank is always watching closely - perhaps hoping for a fly ball in his direction? 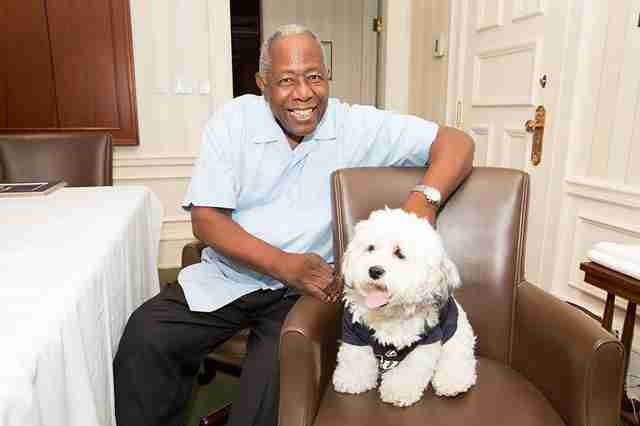 Hank had the awesome opportunity of meeting his namesake, Hank Aaron. The two baseball stars got along famously. 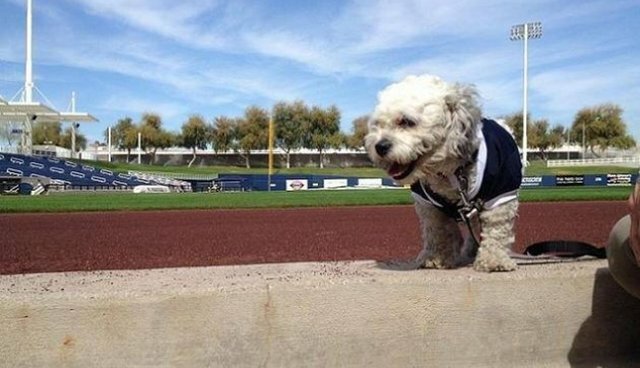 The little white dog's popularity with Brewers fans even earned him his very own mascot! 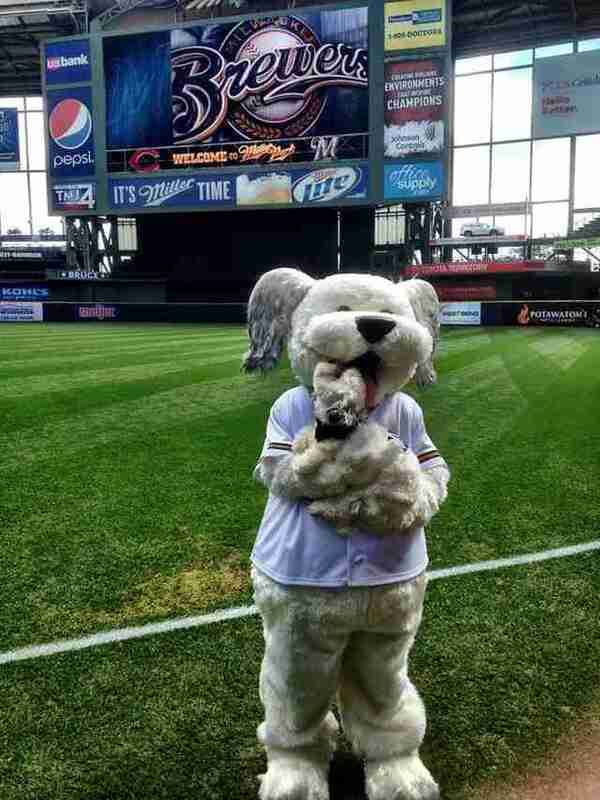 Hank had to give the costumed mascot a good sniff to ensure he was worthy of the "Hank the Dog" moniker. 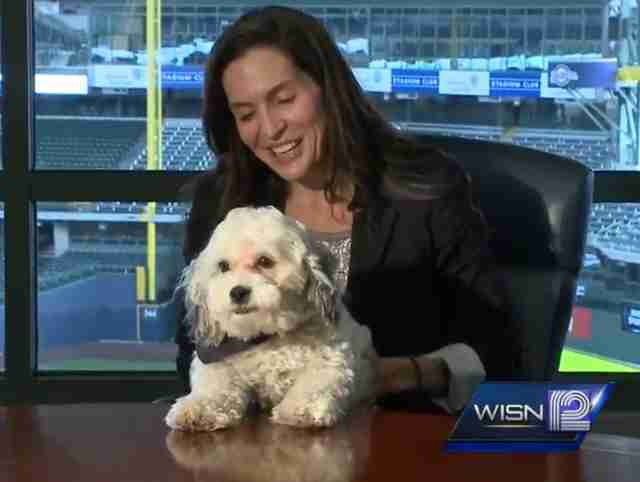 But the best part of the whole story is that Hank has found a forever home with Marti Wronski, one of the executives for the Brewers. Wronski tells WISN, "At the end of the day, this is just a sweet puppy, and we're just trying to give him a home." Cheers to you, Hank, and congratulations on winning "Dog of the Year." You earned it!